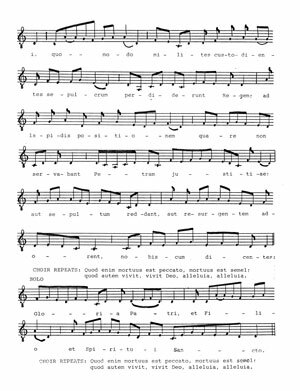 Pages from "WM001 Gregorian Chant"
Gregorian Chant, or what is sometimes called "plainsong," is among the oldest classical music of the European Harmonic Tradition. It is also the basis for all of the great choral music that was sung in the Roman Catholic church and contain some of the greatest melodies that have been written. These Gregorian melodies were incorporated in the choral music of every century. 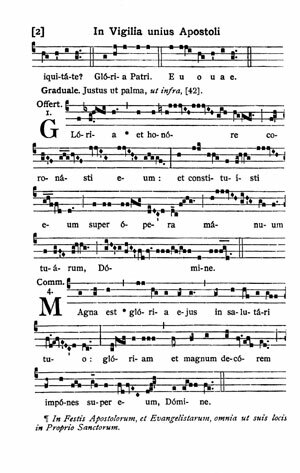 I first heard a recording of Gregorian chant back in 1965 in a university music appreciation course. I knew immediately how beautiful, powerful, and uplifting this ancient music was! Millions of people re-discovered Gregorian chant during the period of popularity of new age music in the 1980s and then again in the 1990s when the album "Chant," recorded by the Benedictine monks of Santo Domingo de Silos, Spain hit the pop charts in England. 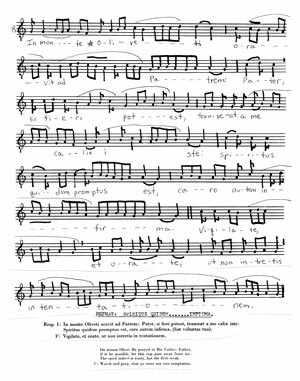 My study of Gregorian chant began in 1971, at the same time that I began a ten-year study of Renaissance sacred music. Gregorian chant and the sacred music of the 16th century are very closely interwoven. 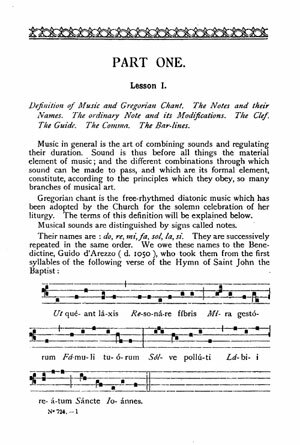 The best source of information about Gregorian chant are old publications of the Catholic church that we will be offering as reprints. We will begin publication during 2012.